Since I have started traveling I love to follow people who inspire me. All of the people who I am following create content - otherwise they couldn't post updates. Most of them are photographers and everyone is using gear to take photos, make videos and produce the content they want to share with us. I always find it quite interesting to know what these travel photographers pack into their bag in order to get the best possible results. The majority of these people have already made at least one update about what they are carrying and what they use to take spectacular images. I guess it is just about time to share with you what I actually have in my bag and why I think that these 9 things are essential to take great photos! This is a LowePro Whistler BP350. Never would I have thought that having a quality backpack would make such a big difference. Seriously guys, it makes life so much easier and protects your expensive camera and lenses just perfectly. It's got enough space for a DSLR camera and all the other gear you might need for your photography. If I would need to buy a backpack ever again I would always get the same one, I just love it. 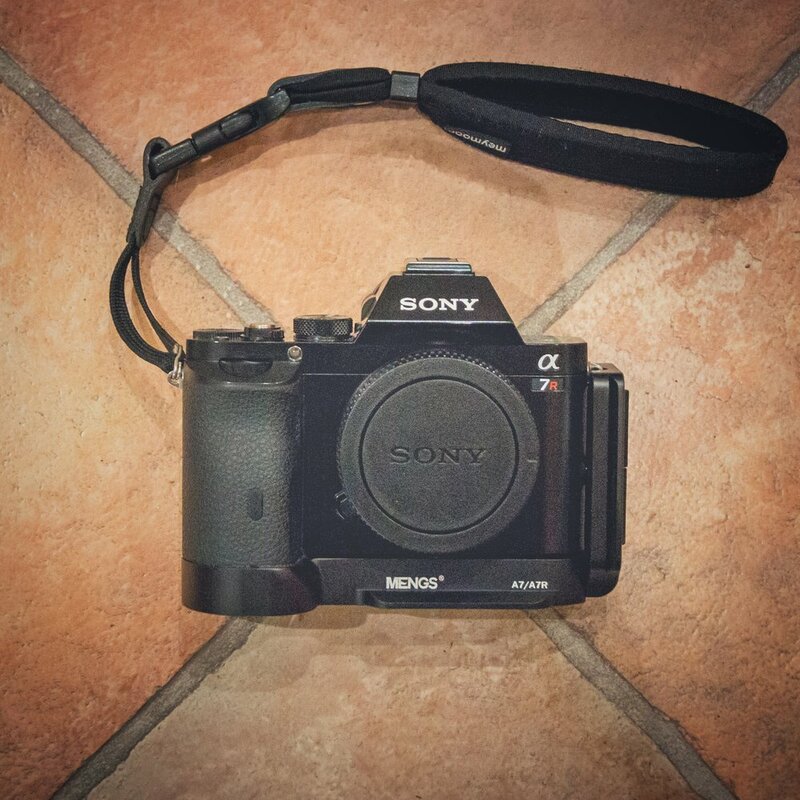 I am shooting with a Sony A7R. The A7R is an amazing camera. It's 36 megapixels sensor is huge, which will allow you to crop images massively and/or print pictures in big sizes. Also it has an outstanding performance in low light and a huge high dynamic range. There's nothing I could complain about this camera except battery life - just bring a few spare batteries. I am currently using a Benro GoPlus Travel FGP28C and a Manfrotto BeFree Travel. I love this tripod and can absolutely recommend it to anybody who is looking for a sturdy solution which isn't heavy and affordable. I have previously owned a hand full of different tripods, including the Manfrotto BeFree Travel which I still use sometimes, but none of them impressed me as much as this one does. At first I couldn't believe the weight - it is really super light! When I set it up for the first time I was impressed of how tall it is and loved the little bag it comes with to carry it around. I have been to different locations with it and must say: well done, Benro! 10/10! 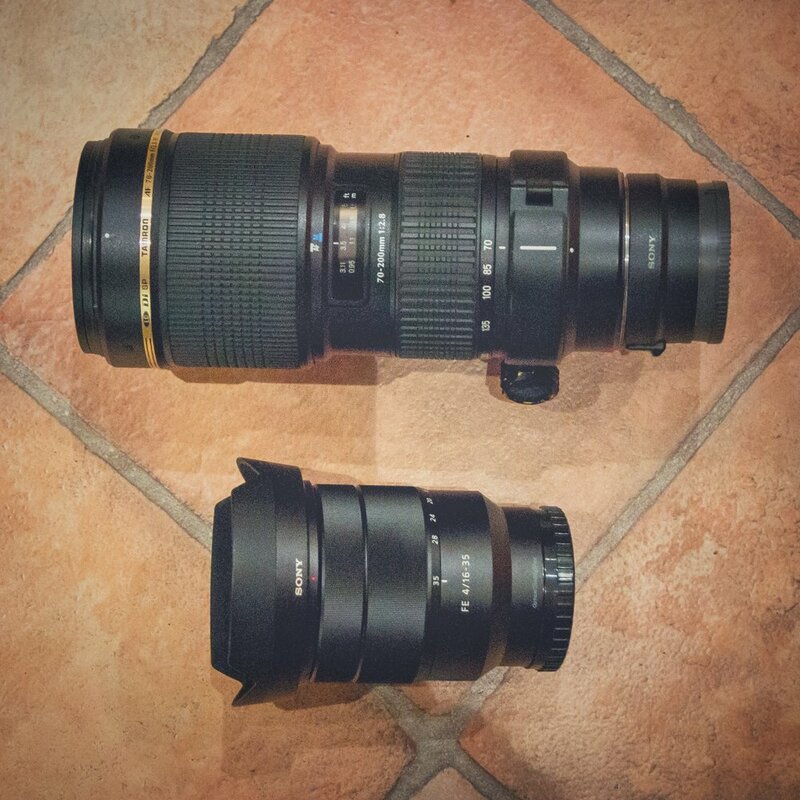 This is a Sony Vario-Tessar 16-35mm F4.0 and the Tamron 70-200mm F2.8 IF Macro. I love both of my lenses. The Sony 16-35mm F4.0 is one of the sharpest lenses on the market. It's built in quality is superb and it's size is perfect for traveling. Nothing to add. The Tamron 70-200mm F2.8 was a must buy. For months I have been dreaming about a zoom lens with which I can capture intimate landscapes. I couldn't ask for more. Be aware that this lens requires an adapter in order to use it on Sony full frame cameras! I am using the 100mm square filter set from Haida Filters. These filters are great. I own them for over a year now and can't speak highly enough of their great performance. I am working with a 10-stop ND, a 6-stop ND, a 3-stop ND grad and a circular polarizer. All the filters can be fitted on both of my lenses with a filter kit and safely transported in a filter pouch by Haida. The name says it all: A smartphone is an incredible intelligent device which helps will all sorts of stuff, especially if you are a photographer. One good reason to carry a smartphone when you are out shooting is that you can use it as a GPS which will navigate you all over the world (if you use Google Maps make sure to always download the offline map of the area where you are heading to). Otherwise it is perfect for documenting the trip, sharing live action on Instagram, Facebook or your friends and of course it can show you exactly when the sun comes up or goes down at which point of the horizon. I even use it to do some minor editing on my images. I am using a small 20€ head torch from Petzl. These guys are affordable yet extremely powerful! Have you ever shot a sunset in a remote location and just because you knew that you were carrying a head torch with you, you decided to stay a little bit longer to shoot blue hour and perhaps even stars and the milky way? Or, have you ever been out camping and without a head torch it would have either drained your phones battery to death or you wouldn't have found what you were looking for? Right. I think the point is clear: a head torch is extremely helpful and sometimes a life saver! I am using a Huawei Matebook E.
Let's put all the small stuff together and throw it into the bag. You will need it anyways. Spare batteries, memory cards, air blower, lens cloths, remote control,...anything missing? Ah yes, the most important tool when it comes to processing the images while you are traveling: the laptop. I got a Sony A580 with a 18-55mm Kit lens and a 50mm F1.8. Having a backup camera is definitely not a must but it is quite handy if you are traveling with your girlfriend - she loves using it! Luckily I didn't really need to use it on a big trip so far but if ever I would have a problem with my main body I could always switch to the A580 - I hope it won't happen.